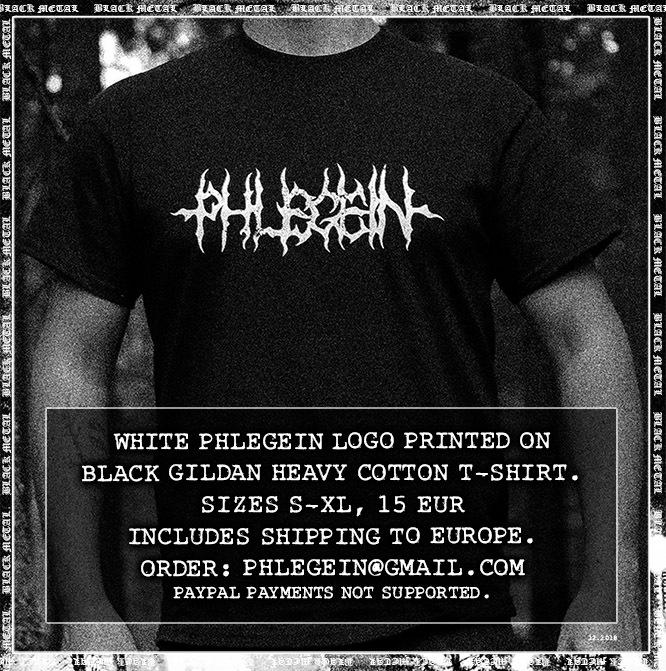 Phlegein creates Black Metal with high respect to its roots, traditions and core values, there is no other way to do this. Nowadays there seems to be more and more ""blackmetal"" releases with quite the opposite of this. The term Black Metal really does not guarantee anything. True Black Metal is driven with the might of Satan and there is absolutely no room for any (contemporary) socially aware sympathy nor any safe zones or wider acceptance from mainstream. True Black Metal is the utmost hostile and offensive form of pure darkness, fueled by individuals who will stand behind their actions. Our 3rd album "Devotion" is now released by Northern Heritage Records. Cd is available at NH webshop. Lp is available at NH webshop. Check out track filled with pure and mythical northern darkness "De Coeli Ardore". You can listen official full album stream here. Order Phlegein releases directly from Northern Heritage webshop. © Phlegein | HTML5 UP.